It seems like there is almost always an exciting event happening in or around the city of Wilmington, Delaware but visitors should be careful not to overlook some of the fun businesses that open their doors to the public. In the Greater Wilmington area, we are fortunate to be surrounded by three interesting options for going behind the scenes, including at a couple of current companies and one very historic company. From your favorite snack foods and the amazing world of television shopping to the history of gunpowder these tours are bound to entertain as well as educate. The Herr’s Snack Factory is just under an hour drive west from Wilmington, and it sits high on the list of favorite local attractions for just about everyone in town. This is an opportunity to see the actual people and equipment that create all of the delicious Herr’s snack foods in action. 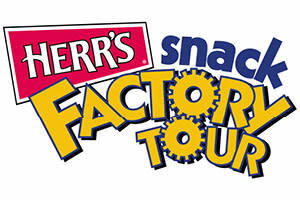 Each tour at the Herr’s Snack Factory starts out with a short video that gets you caught up on the history of Herr’s. Then, you make your way through the actual plant and see for yourself what goes into each and every potato chip. If your lucky, you’ll even get to sample some chips hot out of the oven. Finally, the tour comes to an end in one of the tastiest gift shops you will ever find! Each tour at the Herr’s Snack Factory takes about an hour, and they are available on weekdays between the hours of 9 am and 3 pm. However, they are only open until 11 am on Friday. A short video of the Herr&apos;s tour is available here. Another exciting tour that is less than an hour away from downtown Wilmington is the QVC Studio Tour in West Chester, PA. This is your chance to get up close and personal with everything that it takes to bring those live QVC broadcasts into your home on a regular basis. 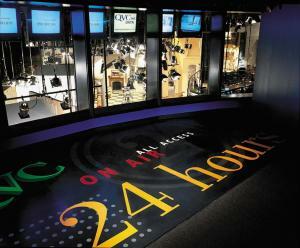 The basic version of the QVC Studio Tour will give you a general overview of their broadcasting facilities, as well as some background on how the products are sourced. If you would like a more in-depth experience, you can opt for an advanced tour like the QVC Backstage Pass, the QVC Studio Plus Tour, or the QVC All Access Tour. With all the different options available at the QVC Studio, you can see as much of the operation as you like, and you never know, you may get a chance to bump into your favorite QVC on-air host or hostess. Located along the banks of the Brandywine River, the Hagley Museum and Library offers visitors one of the most explosive tours in the Wilmington area. That’s because Hagley sits on the site of the gunpowder works that were founded by E. I. du Pont all the way back in 1802. Today, visitors can explore the Powder Yard and see what it was like throughout the early 1800’s when the yard was churning out that explosive powder. Throughout the yard, there are demonstrations of a functional black powder roll mill, the site of a massive accidental explosion, a sixteen-foot high water wheel, a working steam engine, a Hercules Type A water turbine, and live demonstrations using that dangerous black powder. 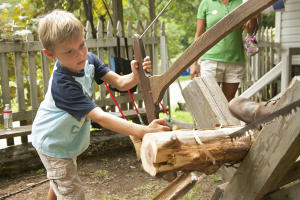 For anyone who is fascinated by history, the Hagley Museum Powder Yard offers the chance to take a step back in time and see what life was really like and how gunpowder was made in the early 1800’s. From gun powder to snack foods to live television, the city of Wilmington is surrounded by some extremely fun and exciting tours that can each be a great way to spend a day! Or better yet, make Wilmington your hub for a weekend getaway and visit them all.